You might have noticed that in the last couple of years, the number of cars plying on the roads is increasing quite fast. A vehicle is a costly investment and you shall take proper care of it so that it will continue giving you proper services for a long time to come. You should find a trusted and reasonably auto repairing company to give the required services to you. Only a professional would be able to handle the repair. He would fix the problem and even give you good maintenance tips. It is not really possible for you, as a layman to take care of or fix such things. So, your job is to search for an expert who would handle the repair job. If it is a first time that you need to look for the car repair service provider, then be careful not to take a wrong decision that might cost you later. Always remember to look for a service provider who offers all kinds of car repair services. Some contractors just stick to few services. For your benefit, choose someone who is specialized in all areas of car repair. Remember to find out if the contractor is an experienced one. Inquire about it because this is an important consideration. A service provider is sure to have higher level of efficiency in performing the job if, he has a good experience. Check if the contractor is situated near your home. This way you don't have to take your car miles before you can reach the car repair destination. Find out on the net what you can about your nearest car repair contractor. Always remember to ask for a good estimate from your contractor. This would help you to chalk a good budget before you can finalize on the decision. Ensure not to compromise on the quality of service, by trying to save money. *Make sure that the shop has the license to carry out the work. *Consider looking for a shop or a garage that can offer you with quality services at an affordable price. *inspecting filters, coolants, brakes, oil change, transmission check etc. The most important common maintenance task is making sure your oil is changed regularly. Oil changes are extremely important to maintain the health of your engine. Usually, your mechanic gives you an approximate mileage for when to come back but check the quality of your oil regularly in case it's important to go back sooner. This is something you can learn to do yourself but considering the time and expense of learning and using the right tools, it's just as easy to see a mechanic. This is a simple task and is always offered at a low price. Oil changes are extremely important to maintain the health of your engine. Your mechanic will give you an approximate mileage to come back for your next oil change. It is also important to check your oil regularly in case there are problems. This is something you can do yourself but it's just as easy to see a mechanic. This is a simple task and is always offered at an affordable price. Tire rotation helps to maintain wear and tear on the tires. Your driving style can affect the wear on your tires. 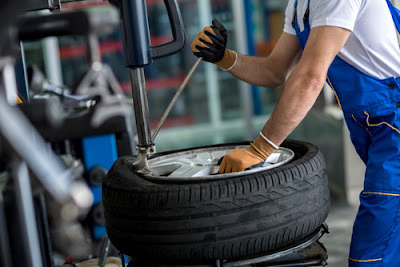 Rotating your tires and having them balanced will help them to wear more evenly; maintaining your vehicle's alignment and improving your gas mileage. It's also important to replace tires if they become worn to help you maintain optimum gas mileage and avoid accidents. Regular inspections are important, too. Transmission and brake inspections can help diagnose the safety of your car. Just like a trip to your own doctor, this checkup lets you know if there are areas that need to be repaired or replaced thus avoiding costly repairs. The professional and well-trained mechanics in Singapore will conduct periodic smog checks and replace the oil content to make sure that there is no harmful chemical leakage from the vehicle. Regular auto repair and maintenance at regular intervals can enhance the performance and lifespan of an automobile. 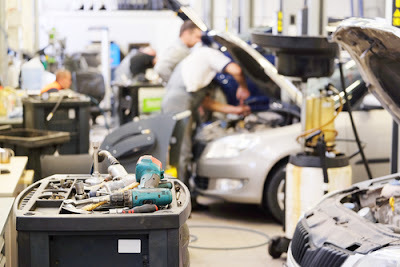 A good auto repairing service provider will always have certified and qualified team of mechanics who are quite well versed in their job and will give you the most effective services that are available in the market. They are always well equipped with various diagnostic tools and equipment. 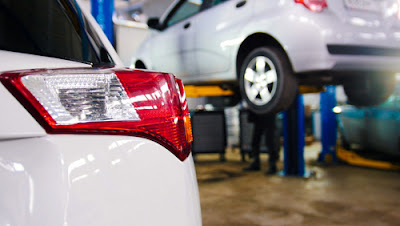 In addition, they also offer service entrances, hydraulic lift stations, smog check station, a parts processing department, tires and alignment station, the management and a customer care center. They will help you to keep your car in a good condition so that it will continue to offer you good services for a long time to come.